The ancestral house is located in the center of Vienna at Neuer Markt 15, just a few minutes' walk from St. Stephen's Cathedral. It is in one of the most beautiful Baroque houses in Vienna. Even the interior itself is a must-see: it was designed by Theophil Hansen, the star of the Ringstraße architecture and designer of the Parliament and the Musikverein as well. The shop in Salzburg is located on the corner of the Alter Markt and the Getreidegasse. The company today The jewellery of the House of Köchert is in demand far beyond the borders of Austria. It reflects beauty that is at once classical and contemporary and, above all, reveals what is priceless especially during this time of globalisation: a truly unique signature. Most of the jewellery is created in our own atelier on the first floor of the main house. "The Empress Elisabeth stars" are especially popular. In 1850, Alexander Emmanuel Köchert manufactures a series of diamond stars for the young and lovely "Sissi". Thanks to the Empress, this kind of jewelry became fashionable popular Europe, especially in the way braid the stars decorated of precious diamonds in her hair. Especially loved are the Stars of Empress Elisabeth. In the 1850s, Alexander Emmanuel Köchert created a series of diamond stars for the young and very beautiful “Sisi”. Because of the empress's influence, this kind of jewellery became en vogue throughout Europe; her distinctive style and unique way of weaving the precious diamond stars into her hair was captivating. With the oil painting of the empress by Franz Xaver Winterhalter, Sisi's diamond stars ultimately became the most famous pieces of Austrian jewellery. Today, the Köchert firm, at more than 200 years old, is once again producing the stars in a limited edition, true to the original design. 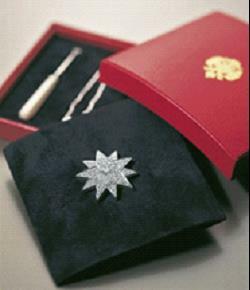 Just like the originals, the stars can be used as brooches, pendants or hairpins. Also based on the same theme is a series of little stars designed as pendants, earrings, brooches and rings from white and yellow gold with diamonds, rubies and sapphires. Many of the Köchert pieces are inspired by the traditions of Viennese craftsmanship. For example, the pieces of the “Coccinella” line are based on a knotting technique developed by the Wiener Werkstätten (Viennese Workshops): tiny little gemstones formed into earrings and necklaces whose surfaces give a textile appearance because of the refinement of the materials used. A speciality of the House of Köchert are unique coloured stones that are crafted into pieces of jewellery with extraordinary nuances and combinations of colour. Recommended for gentlemen are the classically elegant Köchert watch or the renowned ball cufflinks, which were designed in the 1920s and now enjoy cult status in Vienna. Köchert jewellery can be acquired also in New York: the Neue Galerie on 5th Avenue includes in its range a number of selected pieces from the Viennese jewellery house – especially ones with a connection to the Wiener Werkstätte style. 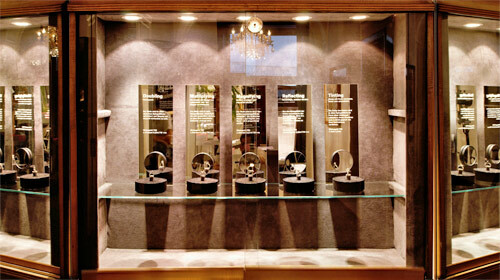 Once per year, an exhibition of Köchert jewellery is held at the Hotel Plaza Athenae. Since the very beginning of the firm, there has been a Köchert tradition of honing special relationships with prominent and up-and-coming artists who come to the house on the Neuer Markt to create, together with our master goldsmiths, objects of incomparable beauty. For example, in 2013, the “Sub Auspiciis Praesidentis” ring was newly developed in cooperation with a young Austrian designer. The ring, which is presented annually by the President of the Republic of Austria to university graduates with an outstanding academic status, represents a traditional award that has been made by the House of Köchert since the days of the Habsburg empire. Today, Christoph, Wolfgang and Florian Köchert carry on the tradition of the House of Köchert. Wolfgang Köchert is responsible for production while Christoph Köchert is engaged with sales and Florian Köchert manages the store in Salzburg. Now, more than ever, A. E. Köchert stands for the mastery of hand craftsmanship, the noblest materials and highly unique designs – all blended together, classic and modern, into finely distinctive pieces of jewellery. Jakob Heinrich Köchert, from Riga, applies to work for the French goldsmith Emanuel Pioté, who enjoys an outstanding reputation for his artistic enamels that he creates in his own Viennese workshop. 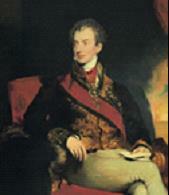 Prince Metternich was one of the first customers and mentors of the Frenchman. 1819 Following his successful years as an apprentice in St. Petersburg, where he learned the Russian way of precious stone setting, Jakob Heinrich Köchert becomes a master goldsmith for Emanuel Pioté. This signals the birth of one of the most renowned jewelers in Vienna - and the beginning of an extraordinary success story. The excellent reputation of the master goldsmiths Pioté et Köchert soon reaches England, France, Italy, Russia and even Turkey. Moreover, the two young entrepreneurs receive their first imperial order: a gold box for the Turkish ambassador. The ambitious business of Pioté et Köchert is decorated with the coveted “Jeweler to the Imperial Court” title.  This title of honor is awarded to leading businesses with products of outstanding design and quality. 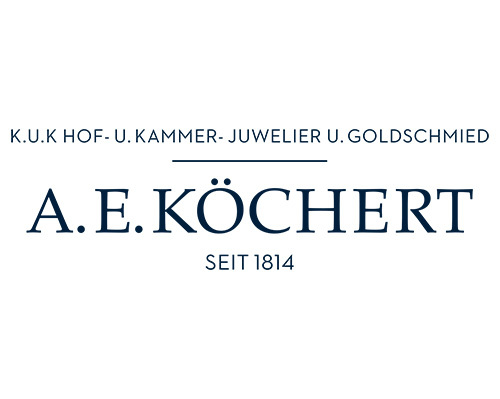 Just 50 years after the company's founding, the Köchert firm has its first high point: Jacob Heinrich Köchert is appointed personal jeweler to Emperor Franz Joseph and officially becomes the Kruk. 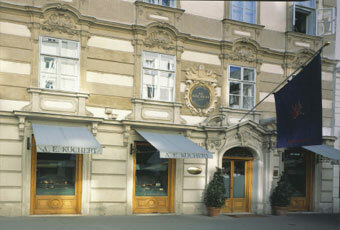 Hof- und Kammerjuwelier – the Royal and Imperial Court Jeweller. 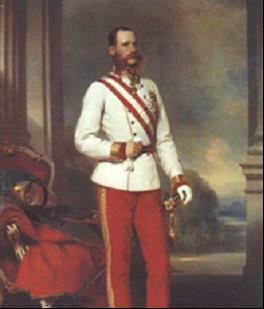 Soon after, Jakob Heinrich Köchert was also entrusted with the care of the imperial treasury; the Austrian Imperial Crown was finished under his direction. Six years after his coronation as Austrian emperor, Franz Joseph marries the beautiful Princess Elisabeth of Bavaria. Also during this year, Alexander Emmanuel Köchert takes over the management of the firm from his father. For the happiness of his young wife, a lover of exquisite jewellery, the emperor – even despite his spendthrift tendencies - orders a number of remarkable pieces from Köchert. The most renowned is a set of 27 diamond stars, which the empress had braided intricately into her hair. In the second half of the 19th century in Vienna, there was a renewed interest in decor and color. This set the stage for the Jugendstil period which, some years later, came to shape so impressively the arts and crafts of the Austrian capital. Also at this time, Heinrich and Theodor Köchert, the sons of Alexander Emanuel, are running the firm. Numerous aristocrats and noble middle-class families are now regular customers. The Köchert family, which holds a deep appreciation for art, maintains close contacts with visual artists and musicians. The architect Theophil Hansen, who built the Musikverein, Parliament and the Vienna Stock Exchange, is amongst the close friends of the family. 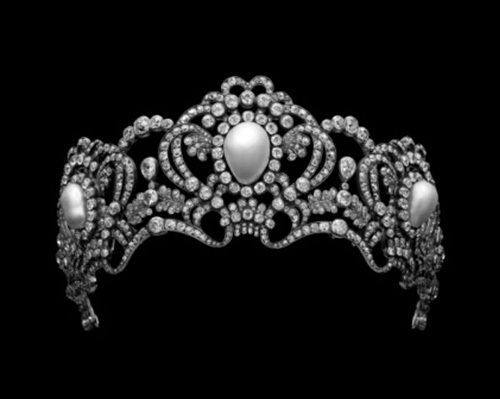 At Köchert, there are already 50 goldsmiths finishing exceptionally beautiful and prominent tiaras and colliers. 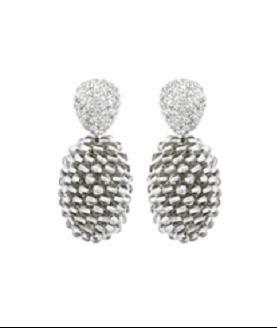 The name Köchert is mentioned in one breath with other great jewellers in Europe, such as Mellerio, Bucheron and Cartier. The economic crisis of the 1920s sparks an unprecedented run on property values. It is the time of Art Deco. 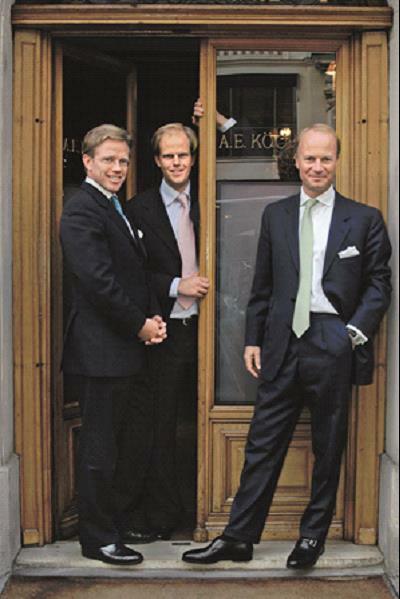 Theodor Köchert`s sons, Erich and Wilfried, play a relevant role in the success of the firm. Erich´s half-brother, the painter and set designer Erwin Lang, assumes the role of inspirational designer and creates unique pieces of jewelery. Fruitful relationships are developed with other centers of creativity in the city, for example, the Wiener Werkstätte (Vienna Workshop). Some techniques developed by the Wiener Werkstätte are still applied at Köchert today - the finely elegant Coccinella knotting technique is one of them. Also some designs from the Art Deco period, such as the Steinringe, or stone rings, which were created by the painter and set designer Erwin Lang, are still used at Köchert. 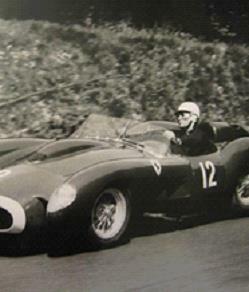 Under Dietrich Köchert and his cousin, Gotfried Köchert – known also as “the racing jeweller” - the reputation of Köchert as specialists for fine, high-profile precious gems and classic jewels is strengthened even further. Dieter Köchert brings back the tradition of working with artists, such as the architect Hans Hollein, who designs a highly successful collection for the House of Köchert. Contemporary artists and designers continue to be important partners for the firm today. The cousins Christoph and Wolfgang Köchert, as new managers of the firm, continue the tradition: the fine art of goldsmithing and gemstone expertise at the highest level. At the same time, they bring a spirit of renewal, which has been the basis of success for the House of Köchert right from the very beginning. Under the management of Wolfgang, Christoph and, since 2005, Christoph's brother, Florian, the House of A.E.Köchert expands: the main firm in Vienna establishes a subsidiary in Salzburg. Nearly 200 years after the firm was founded by Emanuel Pioté and Jakob Heinrich Köchert, today's sixth-generation is dedicated to nurturing the prosperous and creative continuation of a very long and colourful history.